The NCSLSC Centenary Gala Ball is happening on 4 May and will be the event of the century. There has been over two years of planning towards this celebratory event, which is the grand finale of the centenary season marking 100 years since the inception of NCSLSC. 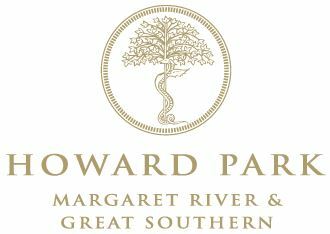 Held in the Main Ballroom at HBF Stadium in Mt Claremont, attendees can arrive from 6:45pm for a 7:30pm start. From this moment on expect to feast, drink and be entertained all night long. The MC of the evening is well known comedian, writer and actor Peter Rowsthorn, and live entertainment later in the evening will be from Switch- a sensational 8 piece band with brass! 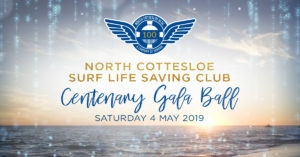 At this event, NCSLSC will look back on 100 years of the club, launch the Centenary History Book on the night, as well as announcing the 44 members who will be named in North Cottesloe’s Champion competitors of the past century. Also throughout the evening there will be a silent auction, as well as live auction conducted by Chris Shellabear of a unique painting by street artist Shakey of the NCSLSC Clubrooms. For those who don’t know Shakey – he created the mural on the side of the ski shed as part of the Centenary. Tickets cost $165 for adults and $130 for under 18’s. Tables of 10. To book your ticket, please visit the online link here or through the Club office. Bookings close on Friday 26 April 5pm. You can also purchase your copy (soft or hard cover) of the Centenary History Book when you visit the online site. The Centenary Gala Ball is not an awards night, but a real celebration and acknowledgement of what the club and its members have achieved over the last 100 years. It is also an opportunity to catch up with past members and friends from your time at North Cott. A recovery brunch will be held at the clubrooms on Sunday 5 May from 10am to continue the celebrations. Join us for the Celebration of the Century! 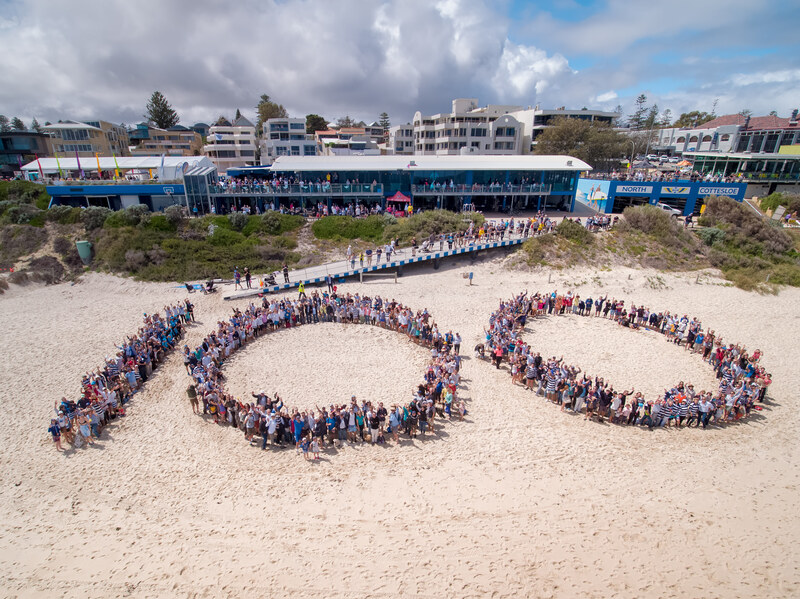 For everyone that was involved in the 100 Birthday Aerial Photo, please click here for a downloadable high resolution version of the image. Thanks to Osprey Creative for their fantastic photography and filming during the day. Check out footage of the Surf Sports Event below. • A range of centenary merchandise is being coordinated and will be for sale to members throughout the centenary season. • Items include – polo shirt, rugby jumper, cap, long sleeve tee shirt, boardies and a Club Blazer. Sign up below to receive the centenary newsletter. 0434 432 825 or email centenary@ncslsc.com.